I often wonder what goes through the mind of babies. Everthing they see is new. I find it difficult to understand what that experience is like. I imagine it like being in a new country that you previously had no knowledge of. Except, you have no home country to compare to. Anyway, she is the daughter of some friends of mine. 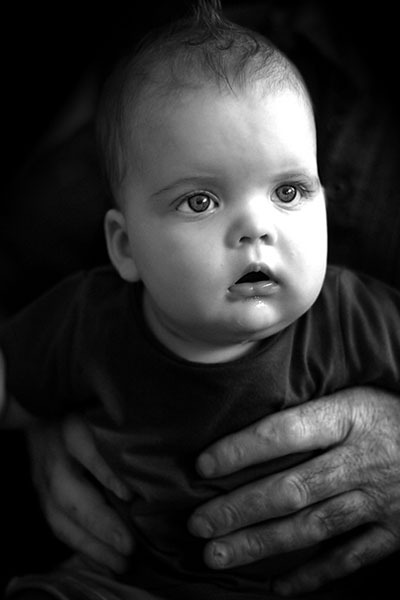 In the photo, she is in the hands of her grandfather and is staring at her uncle.